If there is one thing I'm a sucker for it's a cute, quirky jumper so naturally I knew this jumper was going to be mine as soon I set eyes on it. 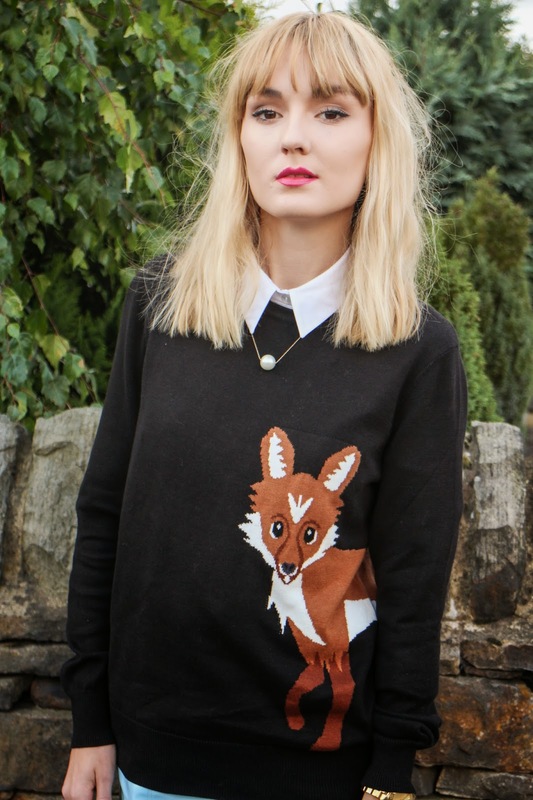 Woodland creatures are quite a theme for designs this season so this curious fox fits the bill absolutely perfectly and I love the preppy vibe from layering it with the shirt as it's such a classic way to wear a jumper. Sugarhill Boutique is full of fun and quirky pieces whilst still managing to keep up with all of the current styles and they really do have something for everyone so you have no excuse not to enter this fabulous giveaway where you could win a £50 voucher to spend at Sugarhill Boutique! The giveaway is open for 5 days so get your entries in quick!! Love your outfit too. Cute jumper! Such a cute jumper! Love sugarhill boutique! Great giveaway, I've entered! Fingers crossed! Thank you so much! Love the jumper - off to order one! Love the outfit. That jumper is so cute, and I love the boots! That is the cutest jumper I've ever seen!! So adorable. That jumper is just so cute! This is a lovely giveaway too - I'm definitely going to enter! You're too beautiful. Love the jumper too... cute! That jumper is SO adorable, I love it. They do so many things that would be the kind of stuff I would wear - you bet I entered the giveaway! 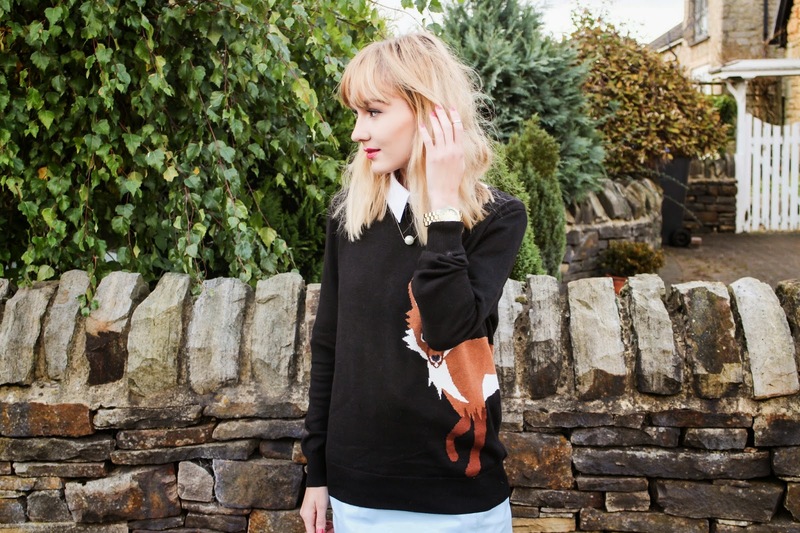 That fox sweater is just adorable! I love how you styled it as well! This jumper is really cute ! Oh heavens I love love love that skirt!